Welcome to the DC Republican Party’s official website. I am both proud and excited to lead the District of Columbia’s GOP and I hope you will join us! Please consider volunteering or donating to the DC GOP in support of our Republican candidates for local and national office in the 2018 elections. As you may know, the DC Republican Party is America’s only urban state party and we have three elected representatives on the Republican National Committee (RNC). In fact, we sent 19 Delegates and 16 Alternate Delegates to the 2016 Republican National Convention in Cleveland, Ohio. Most importantly, we are active in municipal affairs. While this is a terrific time to be a Republican, I am most enthusiastic about our prospects for winning local elections. In November 2016 we had our most successful local election cycle in 12 years. In the At-Large, DC Council race, Republican nominee Carolina Celnik outperformed all Republican candidates (except for one) in the last twelve years. Ashley Carter became the first Republican ever elected to the DC State Board of Education At-Large seat and the 2nd Republican ever to serve on that Board. This year’s November 6th general election is fast upon us and we have three terrific reasons for Republicans to come out and vote. Michael Bekesha is on the ballot for the Ward 6 DC Council seat, Nelson Rimensnyder is running for US House of Representatives, and Ralph J. Chittams, Sr. is our candidate for DC Council At-Large. During this election cycle we will hold call banks at the DC GOP headquarters and our candidates will go door-to-door. 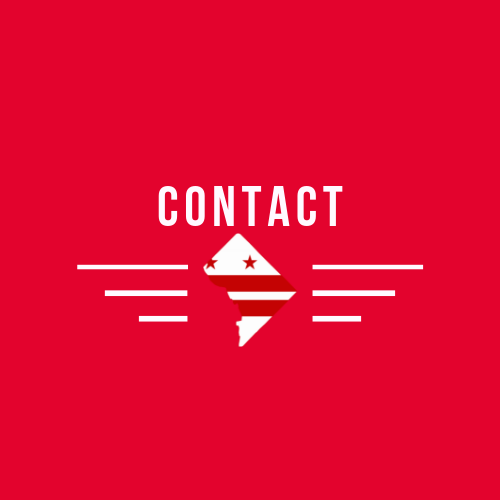 During the election cycles we hold call banks at the DC GOP headquarters and our candidates routinely go door-to-door to take their campaigns directly to the voters. Again, please consider donating your time or financial support to our Republican candidates. We are excited about the Republican candidates running in the 2018 election cycle. Have you ever considered running for office? If so, please contact us as soon as possible at info@dcgop.com. The DC GOP is your chance to make our city a better place to live.